I've been a subscriber to Birchbox for a few months now and none have been more hotly anticipated than this month's offering! Each subscriber was given the choice between 2 special edits - the Stylist magazine edition, and the Back to Basics box - the latter of which I went for! I was super excited for my box to arrive in the post and literally clawed the postmans arm off at the front door on delivery day - but is it any good? Firstly I love the neat and 'basic' blue box (I'll definitely be re-using that later, ta Birchbox!) and what's inside definitely took my fancy right away. I received a full size Eyeko FAT liquid eyeliner pen, which having used once already, I LOVE. I ran out of my trusty Soap & Glory Supercat felt liner a month or so ago and haven't gotten round to repurchasing so I was very excited to try something new and it did not disappoint! The nib is a lot thicker than I'm used to but to be honest it made for a quicker and easier application and within only a minute or so, my winged eyeliner was on fleek and I was out the door. Well done Birchbox! I was thrilled to also receive a full size of the blogger favourite Seche Vite Fast Dry Top Coat nail polish! I've heard about it countless times and I'm excited to give it a proper try myself and hopefully love it too. Working behind a bar ain't kind on the ol' manicure so I'm hoping this will help my nail varnish stay put! 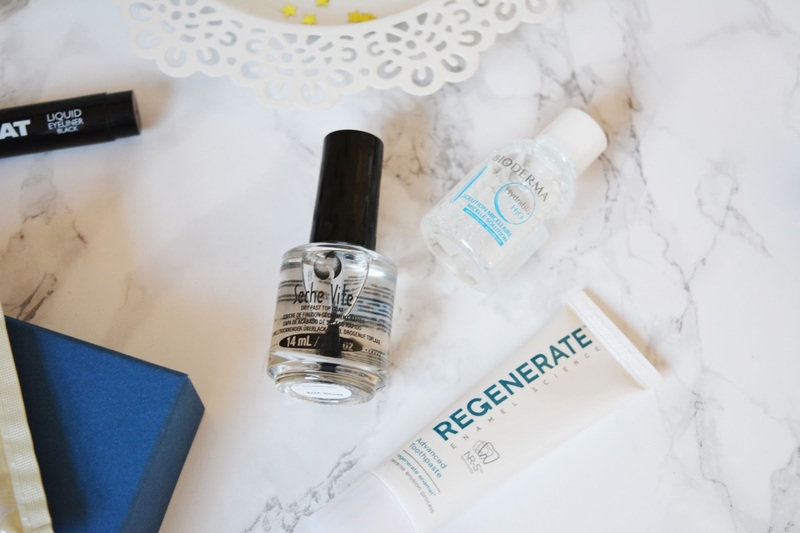 Also in my box was a (very) mini Bioderma micellar water and while I'm a little disappointed on the size, I'm intrigued to see what all the fuss is about! It's no secret that Bioderma is everyone's fave so I'm interested to see how it compares to my trusty Garnier version. 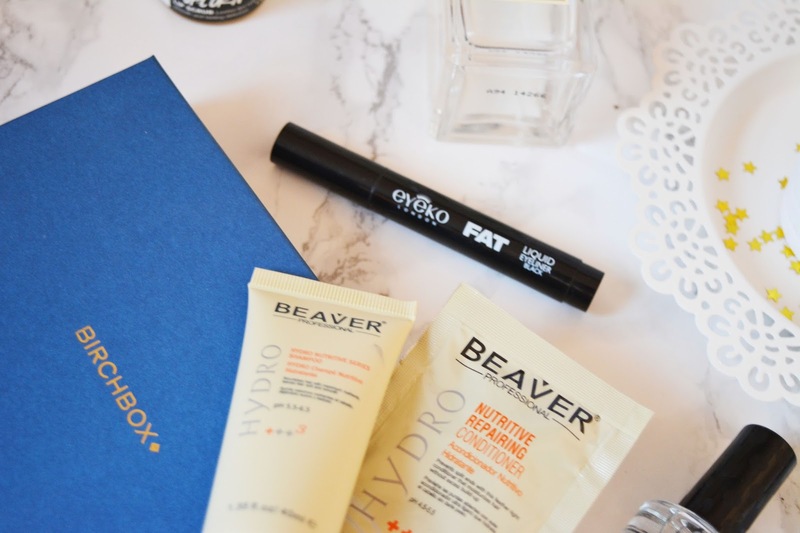 There was also samples of the Beaver Hyrdo Nutritive Shampoo & Conditioner. I've not heard of the brand before but since these claim to repair and nourish the hair, they sound right up my street and definitely something I need in my life right now...bye bye rank split ends! 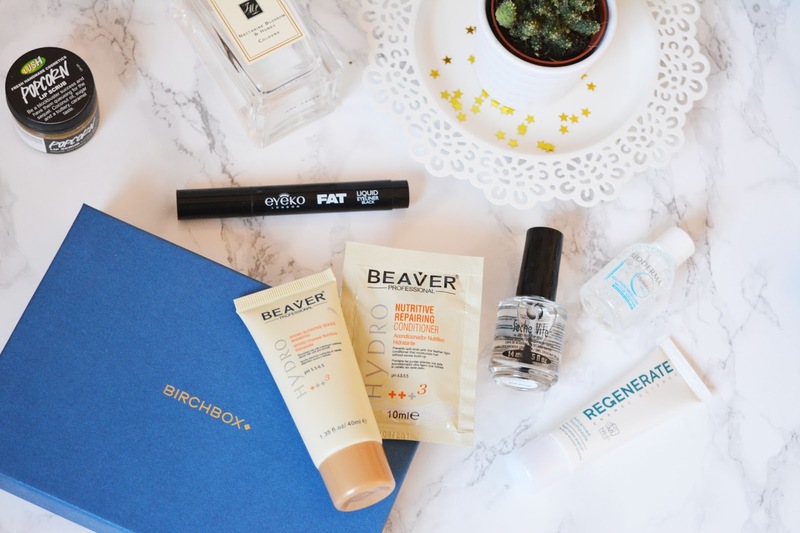 What do you think to the October Birchbox? Are you a subscriber? I'm on holiday so I haven't got mine yet but this has made me excited to receive mine! You guys great such cool boxes! Life: 12 Reasons Autumn Is The One.